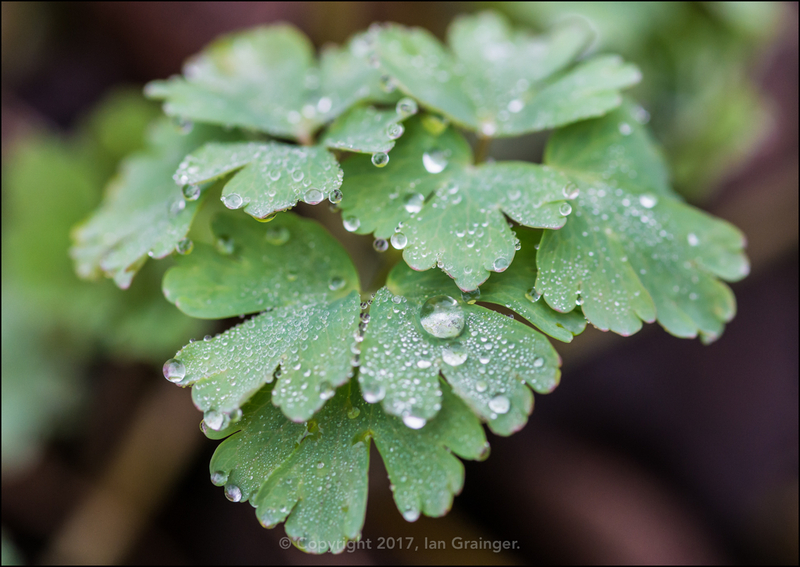 As it was the first fortnight of February, and the hard frosts seemed to have given way to milder temperatures, I went looking for flowers at the weekend. However, it was still bitterly cold, and a bit early in the year for much colour, but I managed to stumble upon a few colourful finds. 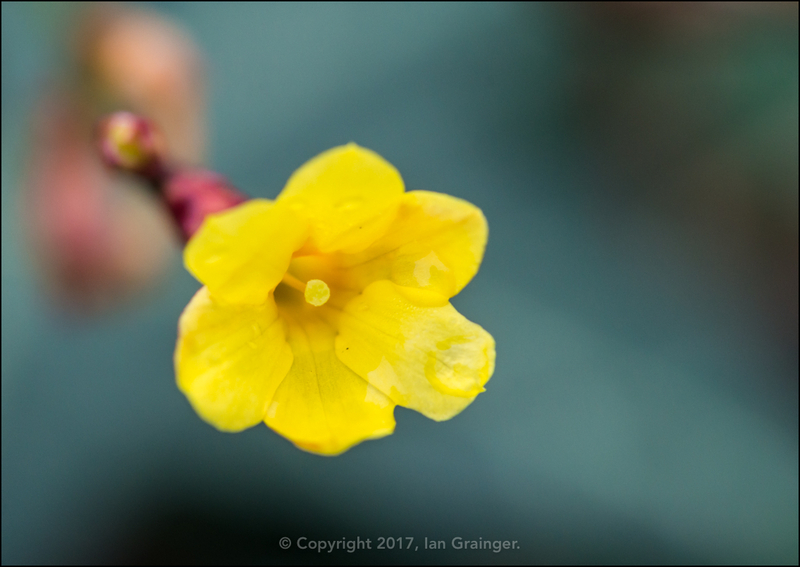 The Winter Jasmine (Jasminum nudiflorum) was still providing splashes of yellow in the hedgerow, and now that leaves were regenerating, they provided a nice complimentary background colour to the blooms. 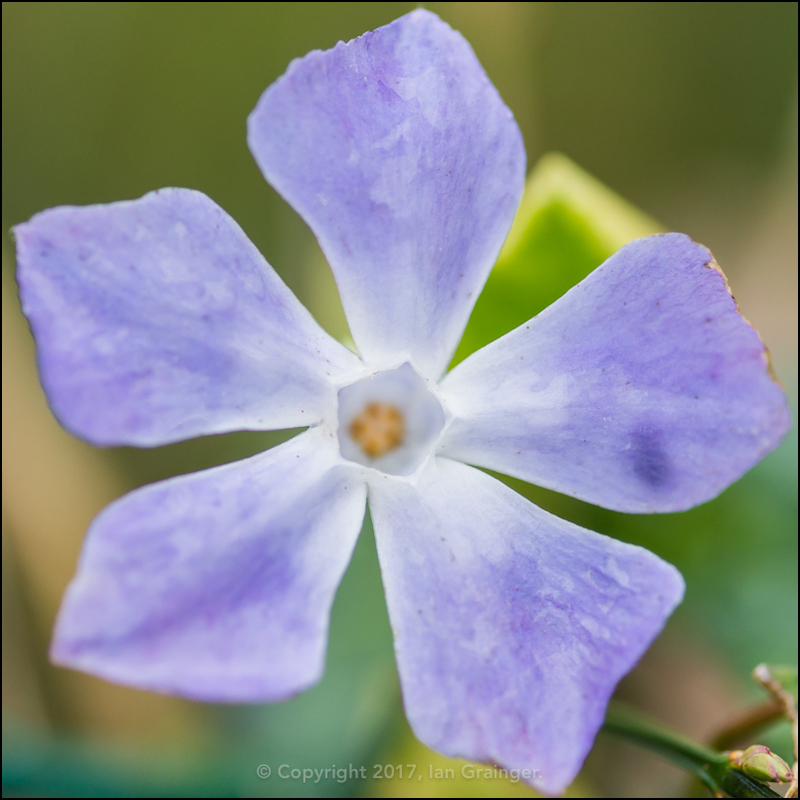 There were a few Periwinkle (Vinca) flowers starting to emerge, and they added a much welcome colour change to the yellows that have been mostly prominent in the winter garden. I love how their centre forms the shape of a pentagon where the five petals join together. 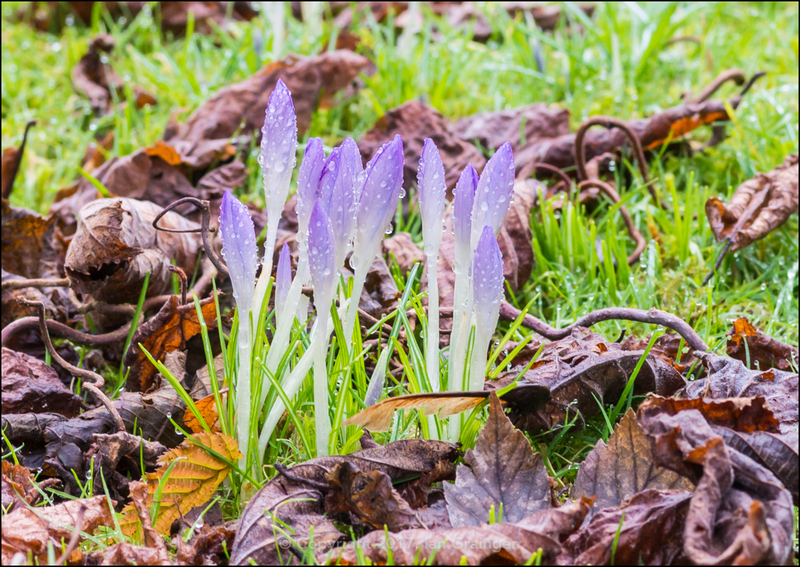 The first Crocus of the season were emerging from amongst the leaf litter on dad's lawn. I'm not sure of the name of this variety, but they're always the first to show. 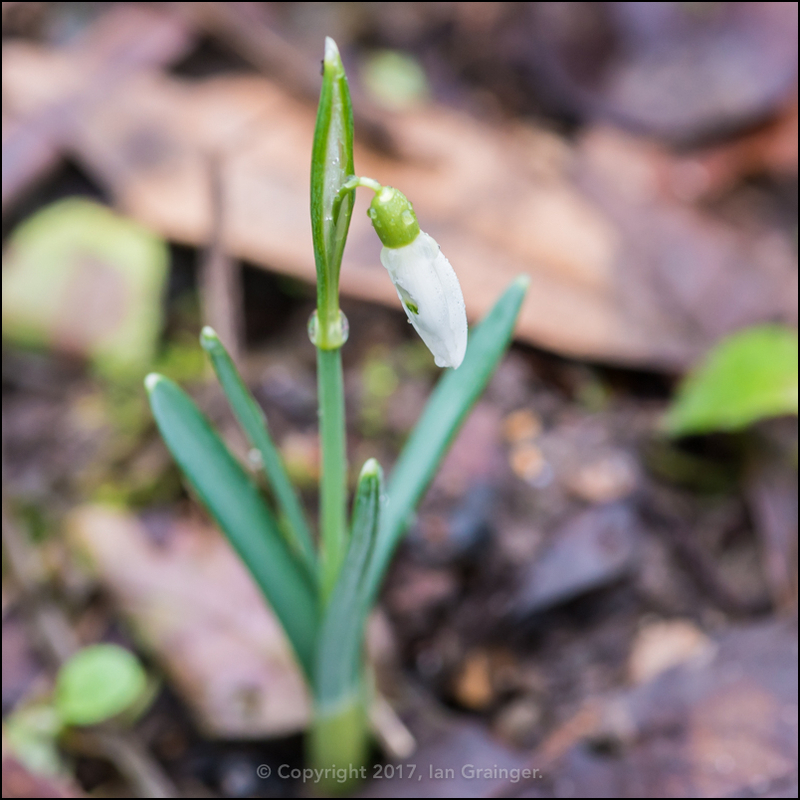 The Snowdrops (Galanthus) usually appear before the crocus, but this year they seem to be a little later than usual. 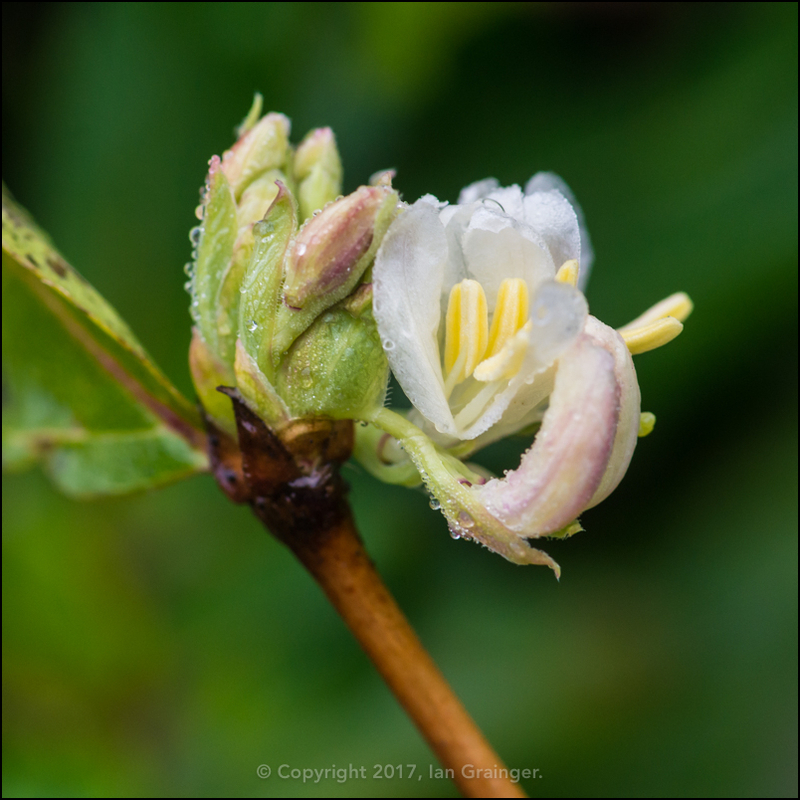 This Winter Honeysuckle (Lonicera fragrantissima) has a very beautiful fragrance, and doesn't seem to mind the cold and wet conditions. 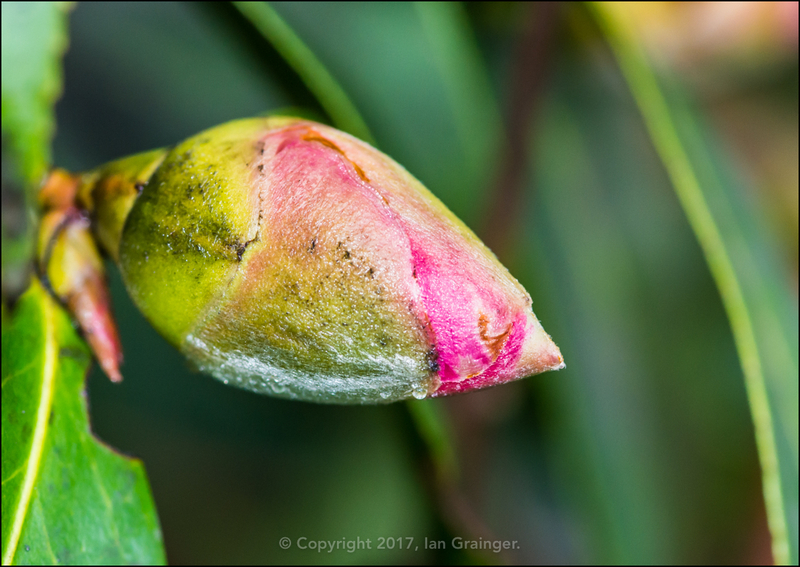 The Camellia flower buds were getting pinker, and surely it wouldn't be long before they would burst into bloom? 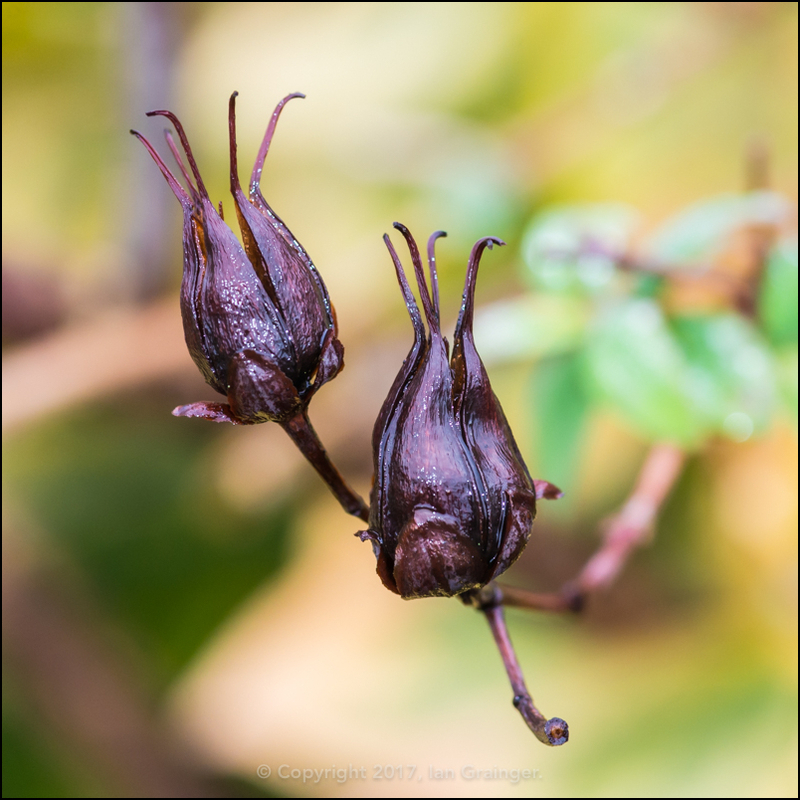 ...and the unknown seed casings I discovered a couple of weeks ago were still catching my attention. 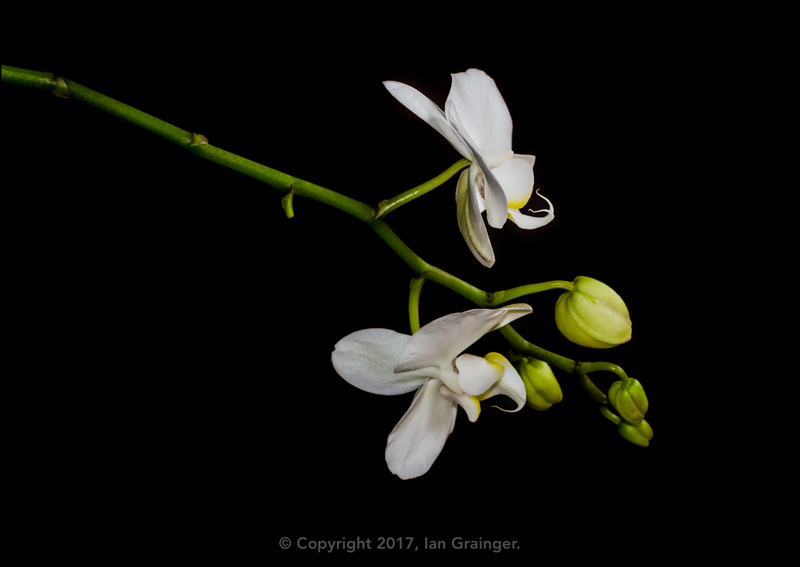 Indoors, the Moth Orchid (Phalaenopsis) had developed another flower and another bud looked like it was ready to open. 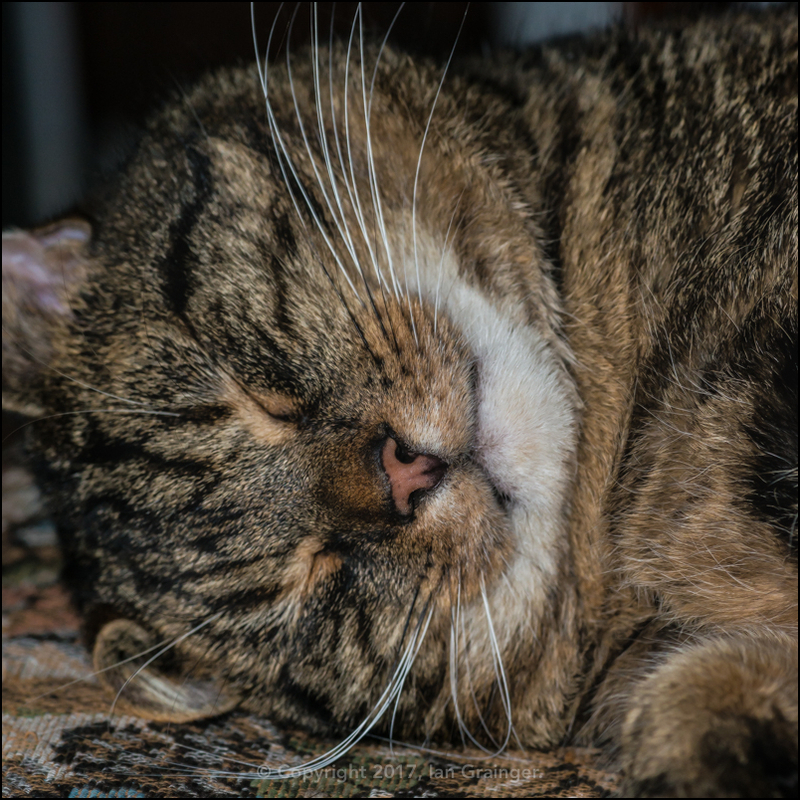 Meanwhile, my furry photo companion was still taking it easy, and opted to snooze the day away.